With this week’s Featured Projects you have the opportunity to learn how to make an adorable corner-to-corner (C2C) blanket with video support and a bright and golden trumpet vine flower. Also featured is an adorable pair of lemon drop baby booties – which I immediately recognized as a Hopeful Honey Design. 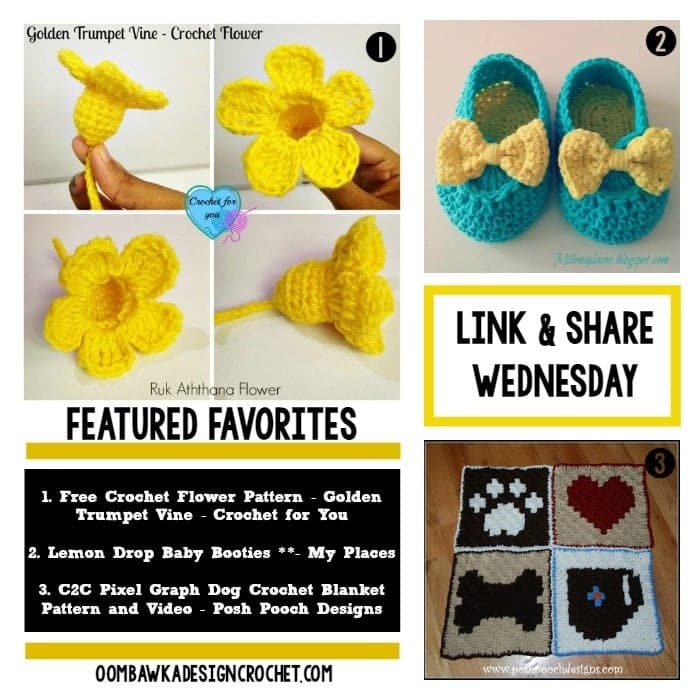 I love seeing projects crocheted from other Designer’s patterns and My Places did a fantastic job crocheting a pair following Olivia’s pattern – you will find the link to the original Lemon Drop Baby Booties pattern available on the My Places blog. Links to the original patterns are included in their posts so get your hooks ready and hook up some of your favorites! Also remember to check out the new submissions this week and click on the images of your favorites to help us choose which projects will be the three featured projects in next week’s roundup! Welcome to Link and Share Wednesday’s 139th Link Party! 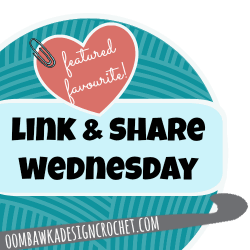 Here are the featured favourites from last week’s Link and Share Wednesday – Link Party 138 as chosen by you! . To join this week’s party, Link Party 139 please scroll to the bottom of the post! **Many projects included in Link & Share Wednesday have been created using other Designer’s Patterns. You will find the links to the original pattern source(s) included in the Project Posts. always a great party 🙂 Thanks so much for hosting us and showcasing such wonderful posts!